Although sports is fun, it is, however, the cause for around 40,000 eye injuries each year according to a recent survey. Children are vulnerable to sports-related eye injuries, and approximately 43% of all the eye injuries occur among children younger than 15 years. Sports injuries can be classified into low risk, high risk, and very high risk. Low-risk sports do not involve body contact and some examples of low-risk sports include track and field events, swimming, gymnastics, and cycling. High risk includes sports which make use of bats and balls and which involves moderate body contact. Some high-risk sports are baseball, basketball, hockey, football, lacrosse, tennis and other racquet sports, fencing and water polo. Extreme risk or very high-risk sports involve body contact and no protective eye gear. This includes sports like boxing, wrestling, and contact martial arts. Eye injuries that result from sports are usually in the form of blunt injuries, corneal abrasions, penetrating injuries and radiation injuries. Blunt injuries are those injuries where the eye is compressed due to sudden impact from an object. They are often caused by tennis balls, racquets, fists or elbows, and sometimes cause a black eye or even hyphema (bleeding of the eye). The bigger the impact of the object the more serious the injury, which may include broken bones around the eye, damage to important eye structures like a ruptured eyeball or a detached retina – resulting sometimes in immediate vision loss. Corneal abrasions or penetrating eye injuries are generally very painful scrapes on the outer surface of the eye or the cornea. Most corneal abrasion related injuries heal on their own, but it is necessary to visit a doctor who would prescribe the appropriate medication to help it heal faster and also control the pain. The most common cause of such injuries would be a finger in the eye that often occurs when playing basketball or football. Penetrating injuries are caused when a foreign object pierces the eye. These form of injuries are very dangerous and occur when a shard of glass from the eyewear pierces the eye. Sometimes the cause of very serious eye trauma or even vision loss, these injuries should hence receive immediate medical attention. If the person is suffering from a type of blunt injury, it is advised to keep the eye closed. So as to avoid discomfort the injured person should be advised to place a cold compress over the affected part of the eye without firm pressure. This will help numb the pain a little. The injured person should also be advised to keep lying down with little movement. In case of a penetrating trauma, there may be a foreign object in the eye. Any attempt to remove it should be avoided as doing so could only make the injury worse. Even pressing, rubbing or touching the eye is best avoided. In this case, the safest way to protect the injured eye would be to cover it with a clean paper cup or some such object that will protect it without touching it. If it is a form of radiation injury then it is best to move away from the source of UV immediately and seek medical help. Eye injuries are largely preventable with the right kind of eyewear. It is best to consult an eye care practitioner before playing any high-risk or extreme risk sport to avoid any serious injury. 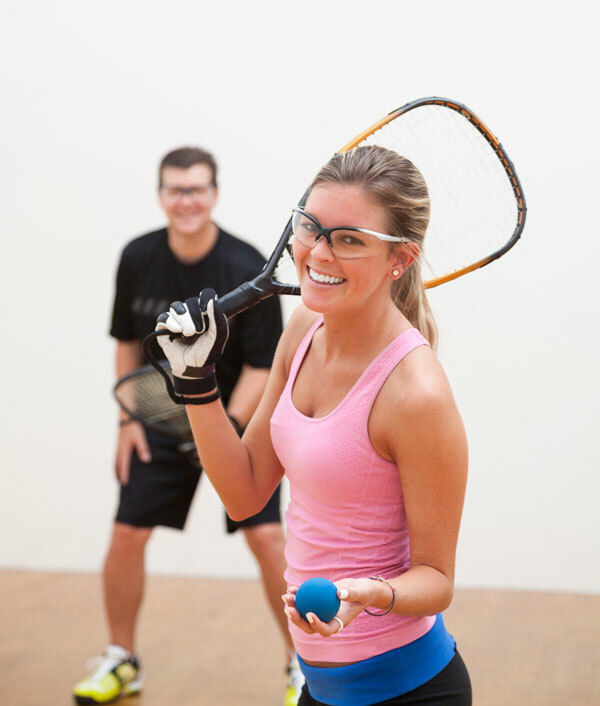 All sports have different visual demands, and an eyecare practitioner with an expertise in sports vision can recommend the proper eyeglasses, or design a vision-therapy program to maximise the visual skills for a specific sport. The eyecare practitioner should also be notified of all eye-related problems. Athletes with a serious eye injury have advised an examination by an ophthalmologist before returning to play with protective eye gear. For a less serious injury, the team physician can usually decide if the athlete can return to play based on the type of injury and how the athlete feels. Athletes are advised never to use a topical anesthetic so that they can keep playing. 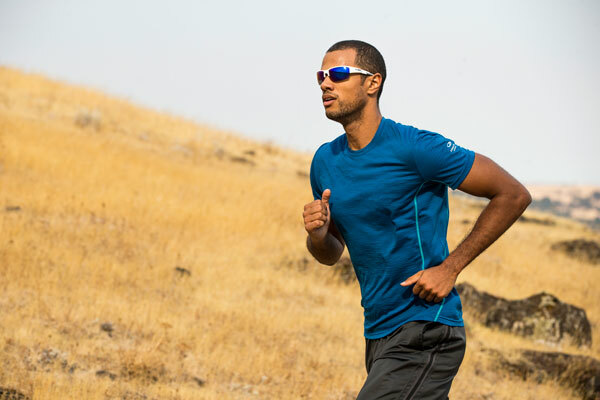 Any person involved in sports is advised to give due importance to protective eyewear. 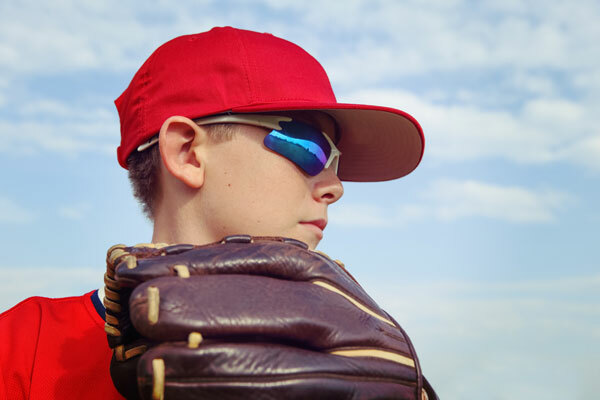 Sports vision goes beyond choosing the correct protective eyewear that protects and provides clear vision. Just like speed and strength, vision is an important component of how well the sport is played. There’s a lot more to lose than just the game… use protective eyewear. Ice Hockey: Helmet with full-face protection.